Clean lines, ergonomics and quality of the materials make it a safe bet. Diameter 28 cm. 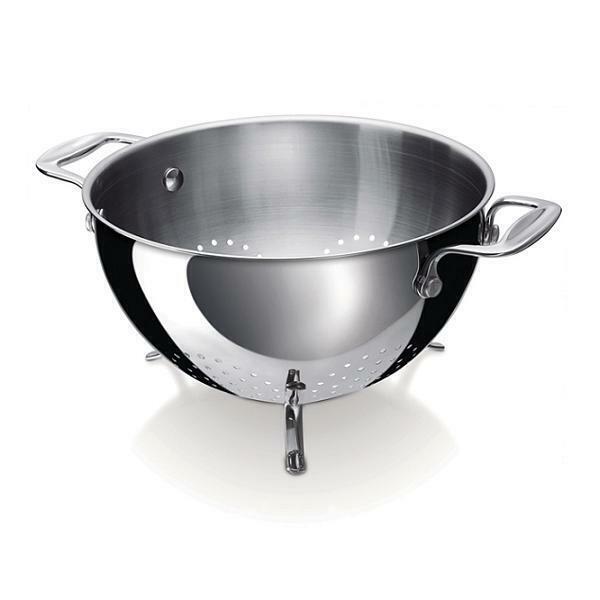 Without PFOA.
. Utensils made of stainless steel have almost unlimited durability, withstand all usual food and detergents and have a neutral odour and taste.
. Can resist temperatures up to 250°C.
. Next to washing and draining food, the colander can also be used as a decorative fruit bowl.